Abstract — RISC-V is an open ISA (instruction set architecture) enabling a new era of innovation for processor architectures. RISC-V includes open source processor cores, toolchains, simulators and other key supporting components. The RISC-V ecosystem enables a new level of innovation in processor architecture that will be a key driver for the needed gains in performance and power efficiency over the next decade. The rapid growth of RISC-V has been truly impressive to witness. Originally developed at UC Berkeley as a means to support a graduate student project, the free and open ISA has become widely popular promising to bring the innovation and collaboration of the open source community to the hardware world – and to dramatically disrupt the whole semiconductor industry in the process. So really the question is: How do I get started with RISC-V? The Internet of Things is already permeating every part of our lives – from healthcare to aviation, automobiles to telecoms. But its security is fundamentally broken. In my previous blog I’ve shown how vulnerabilities found by security researchers could have catastrophic consequences for end users. This isn’t just about data breaches and reputational damage anymore – lives are quite literally on the line. 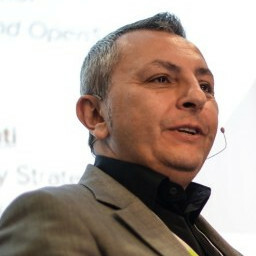 The challenges are many: most vendors operate under the misapprehension that security-by-obscurity will do – and lobby for laws preventing the disclosure of vulnerabilities; a lack of security subject matter expertise creates major vulnerabilities; firmware can too easily be modified; and a lack of separation on the device opens up further avenues for attackers. But there is something we as an industry can do about it – if we take a new hardware-led approach. This is all about creating an open security framework built on interoperable standards; one which will enable a “root of trust” thanks to secure boot capabilities, and restrict lateral movement with hardware-based virtualization.